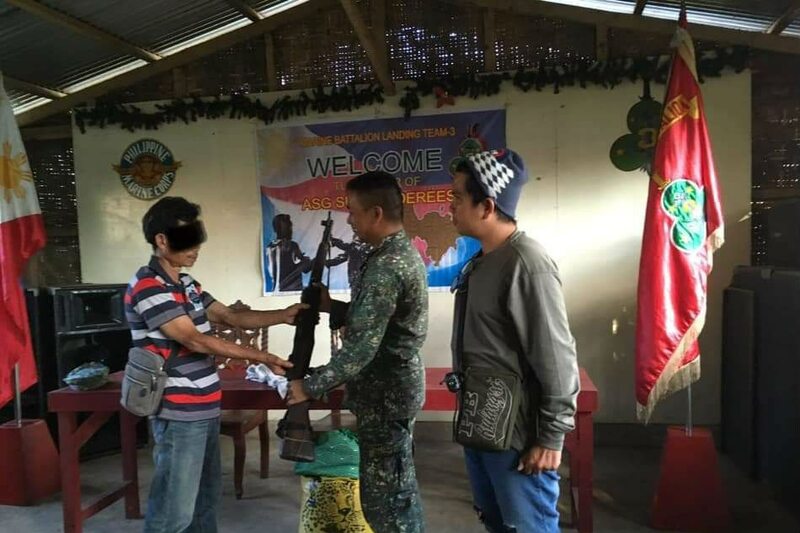 A 60-year old member of the Abu Sayyaf Group surrendered to the Armed Forces of the Philippines (AFP) in Panamao, Sulu on Sunday. A report from the Naval Forces Western Mindanao (NAVFORWEM) identified him as Basari Sali, who was under the group of Radulan Sahiron. Sali also surrendered his Garand rifle to Lt. Col. Hilario de Vera, deputy commander of the Philippine Marines Ready Force (PMRC). His surrender came more than two weeks since the twin blasts in Jolo Sulu, which authorities had pinned on the terrorist group. Clashes between state troops and bandits on Feb. 2 in Patikul town left five soldiers and three Abu Sayyaf members dead. Sali's surrender came through the cooperation of the military, village officials in Bulangsih, and local officials of Panamao municipality.